If you are trying to sell a Prairie Village house during the winter months, you might want to incorporate a few festive touches into your open house. 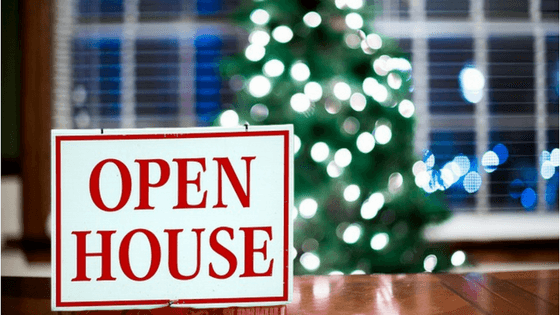 We have put together some creative holiday-themed open house ideas to help you sell your Prairie Village house fast! 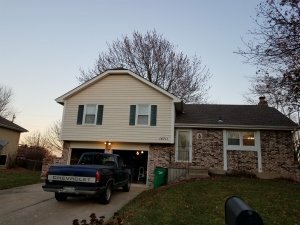 Many people wait to list their houses until after the holiday season, however, when done correctly, it can actually be a great time to sell your Prairie Village house! Many people are looking to buy before year-end or relocate during winter break. Reaching these people is key to selling! And by offering a warm and welcoming open house, your property will stand out to these prospective buyers! Sometimes the natural light isn’t enough. Your house should be well lit, but not so well lit that you feel like you are at the doctor’s office. Keep lighting soft and warm. Try out different lighting options and you will see what a difference your lighting choices can make. Investing in a few lamps and opening the shades just right can really help. There aren’t many people who dislike the scent of freshly baked cookies or bread. Vanilla and pine are also popular, and universally liked choices. You can use oils or candles to add a light scent to the air however too much can be off-putting and can make buyers wonder what you are trying to cover up. Make your home smell like you are baking with a small crockpot or saucepan on low with water and cloves. Gives the kitchen the warm smell of pies and cookies. We just checked out a vacant house that the owner no longer lives in and we spent the entire time trying to figure out what was wrong with it, we found mothballs everywhere. Not the best thing for making the house smell good. There are delicious snacks you can serve that will conjure up warm holiday memories. (Or just be delicious.) Get creative and offer pumpkin pie bites, gourmet cookies or biscotti. Keep food light and don’t serve anything that will be too messy. As far as refreshments, you can serve apple cider, cocoa or maybe it’s finally time to purchase that fancy coffee machine. Just keep in mind that what you hand out could be spilled or dropped, so keep it away from the carpet and avoid red items. And even if you are not feeding them, setting the formal dining room for the big family feast. A family friend of ours had a buyer come to look at her house on Thanksgiving of all days. They had the entire house decorated for Christmas, the dining room set for the meal and the turkey in the oven and crockpots of all the sides on the counter. They stepped out for the buyer to come see and they fell in love with the way the home was set up for entertaining large numbers of people. Or if your open house is on the big game day, have the game on and showcase the tv room. And don’t overtake the room, we visited a house this past week that had overdone the decorations. They took out a chair for the giant tree, which was fine if they would have stopped there. However, they added a bunch of tables with a winter village that really looked out of place, like those village pieces were sitting on several tables covered with white fabric. And they had so many decorations on the mantle that we totally missed the 50 inch TV sitting there and it was on. A traditional tree can be large and cumbersome. Usually, furniture is moved around and rearranged, making spaces look cluttered and not as welcoming. Unless you have a wide open room with plenty of EXTRA space for a tree, you might want to consider a small, tabletop version instead. Or do like we do in our small condo, put a light tree on the deck and a few pops of red and green around the room.